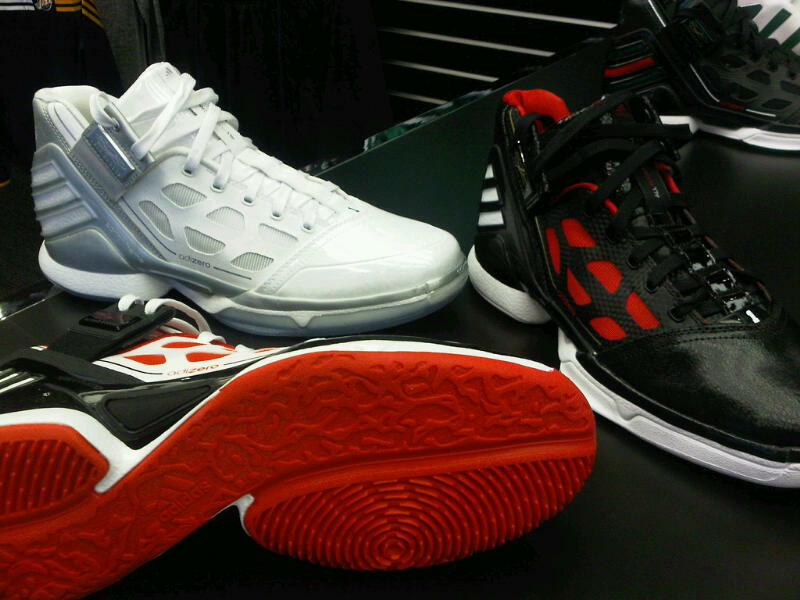 A preview of the Fall 2011 offerings from adidas Basketball, which includes new sneakers for their signature athletes. When we first saw Dwight Howard and Derrick Rose team up with Dr. Ken Jeong (aka Slim Chin) for adidas' "Fast Don't Lie" campaign last fall, we figured it'd be a big year for the 3-Stripes. What followed was not only a great run of sneakers from their signature and team athletes, but an NBA season in which Derrick and Dwight are probably running 1 & 2 in the MVP race. Now that they have the basketball world's attention again, adidas is left with the task of making sure they keep it. Yesterday at their Showroom, adidas gave visitors a preview of what they have in store next - the Fall 2011 Basketball Collection. 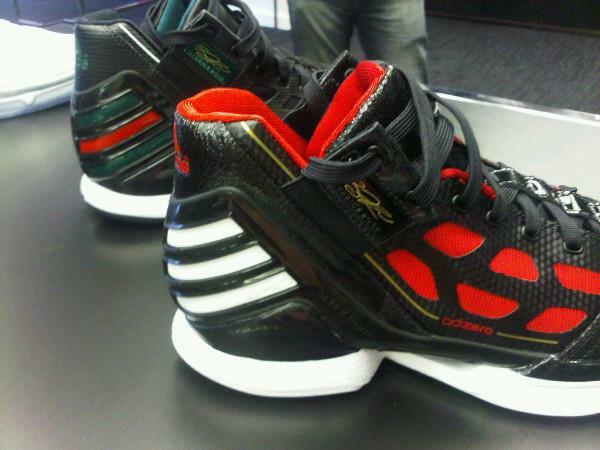 Included in the lineup are new signatures for Rose and Howard, the adiZero Rose 2.0 and adiPower Howard respectively. Also on hand was the new 2011 Pro Model and a team shoe called the adiZero Ghost. 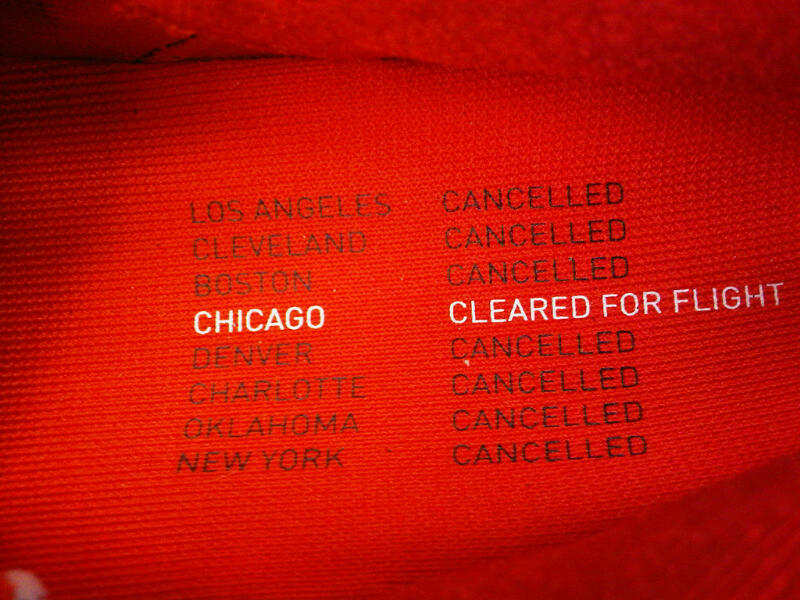 The adiZero Rose 2.0 is based on a "Cleared for Flight" concept, with flights in all other cities being canceled. If you remember, there was also flight inspiration incorporated into the original adiZero Rose design with the aviation pin line graphic details. Once again we see the 3-Stripes toward the heel, which is a staple on Rose shoes because he wants defenders to see the branding on the heel as he blows by them. Weight on this shoe comes in somewhere around 12.4 ounces. 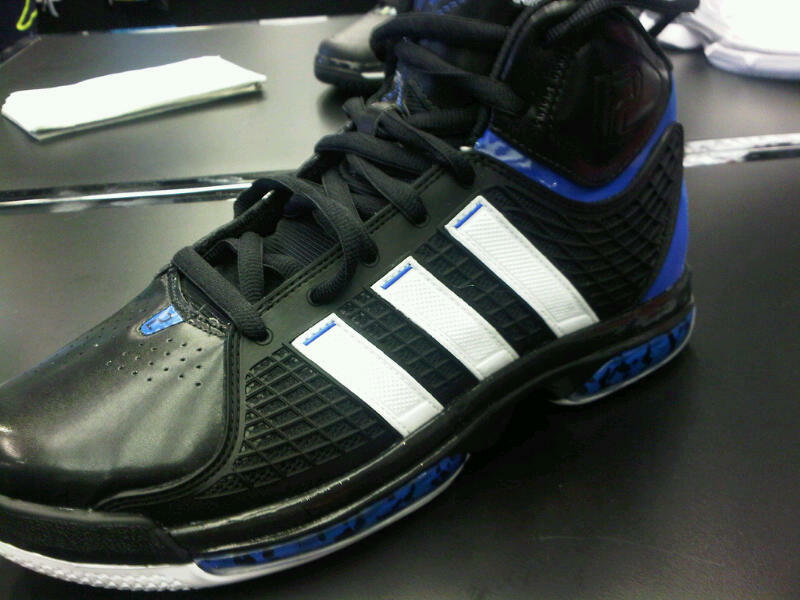 Next up is the adiPower Howard, the next signature shoe for the Magic man in the middle. The name of the shoe tells you exactly what you need to know. This is a big man's shoe built for using all of that strength in the paint. SprintSkin technology, one of Dwight's favorites, returns for duty on the side panels. There is also said to be improved traction and ankle support on this pair. 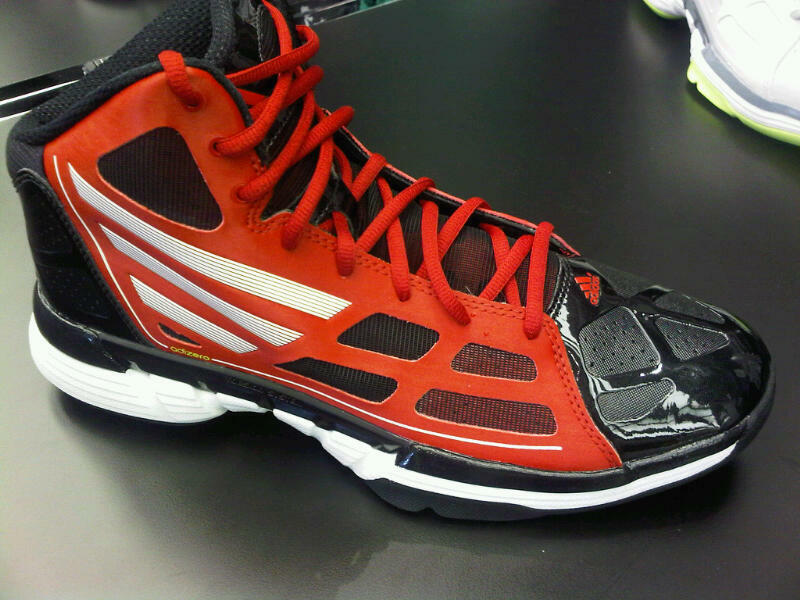 The shoe weighs in at about 14.2 ounces, which like the adiZero Rose 2.0, is a decrease from both of this year's shoes. New life has been breathed into the Pro Model for the latest release. One of the main focuses with this shoe was re-designing the shell toe. They did so here, using SprintSkin to make up the toebox. Open hole mesh on the tongue and ankle area will make the 2011 more breathable and a favorite choice amongst players at the amateur level. Lastly, the adiZero Ghost figures to be the team offering for the Fall 2011 run. 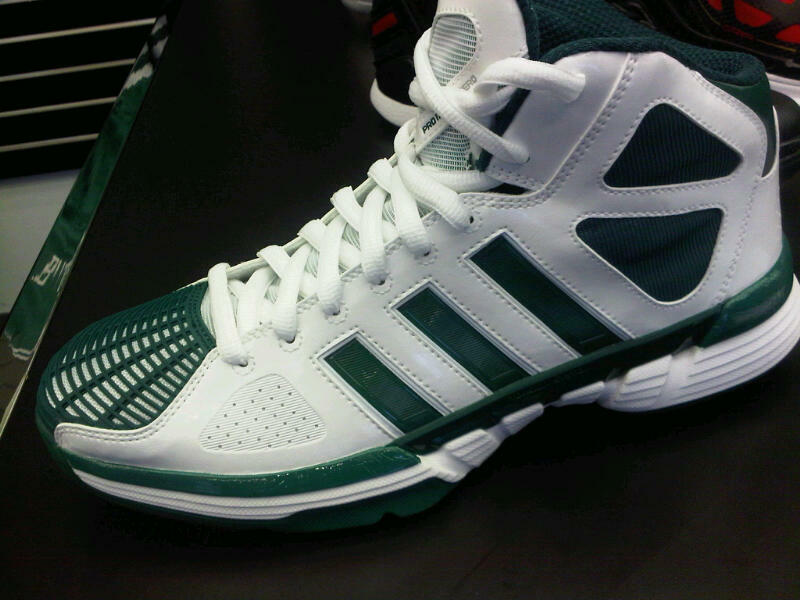 Similar to what the adiZero Infiltrate was to the Fall 2010 line, but hopefully with more convenient availability. 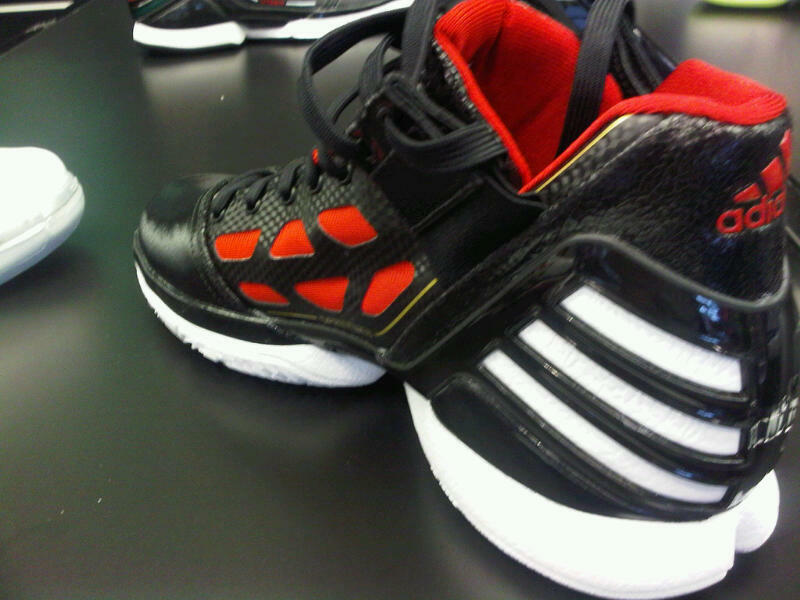 The shoe seemingly combines elements of the adidas Young Guns, adiZero Rose 2.0 and tooling similar to the Pro Model 2011. More information on all of these releases at it becomes available. On first look, what do you think about the new adidas kicks?